The carelessness of the paid chaplains and nurses towards the suffering patients now inspired him with the thought of founding a congregation to minister to their wants. With this end he was ordained priest, and in 1586 his community of the Servants of the Sick was confirmed by the Pope. Its usefulness was soon felt, not only in hospitals, but in private houses. 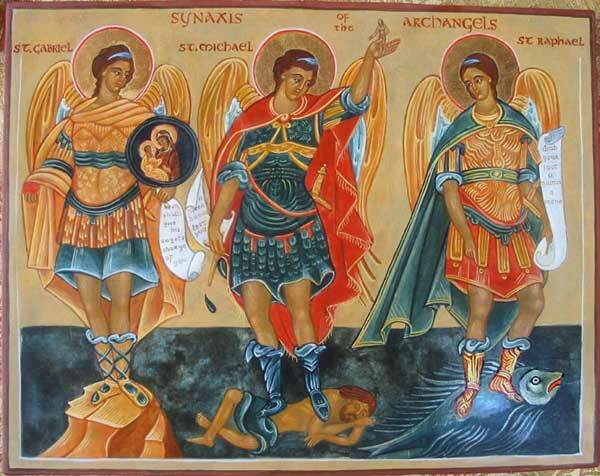 Summoned at every hour of the day and night, the devotion of Camillus never grew cold. With a woman’s tenderness he attended to the needs of his patients. He wept with them, consoled them, and prayed with them. 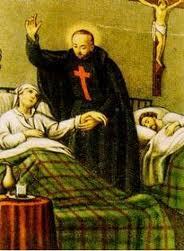 Reflection.—Along with St. Michael, and St. John of God, St. Camillus is the patron saint of the sick. St. Camillus venerated the sick as living images of Christ, and by ministering to them in this spirit did penance for the sins of his youth. He led a life precious in merit, and from a violent and quarrelsome soldier became a gentle and tender Saint.